for the presentation KART ANALYSIS is a software designed to help technical and drivers in setting up of the chassis and tires of kart. 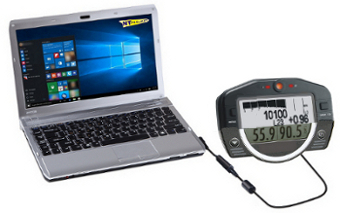 It lets you take advantage your data acquisition to analyze the behavior of the frame and for quickly have guidance on how to intervene on the setup, and tire pressure to improve the performance in relation to the characteristics of the track , to its conditions, and to the driving style of driver. The fine-tuning of the chassis and of the tyres how you know in the competitions is fundmental to be winner, and in the kart this res again more important. The intervention areas are many, so even for technicians more experts to find the best track by track, driver by driver, and in different weather and grip conditions, is really difficult. 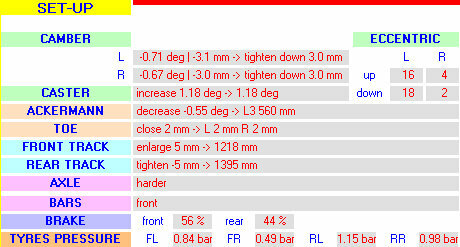 Thanks to the Kart Analysis software all it is very easy and precise. 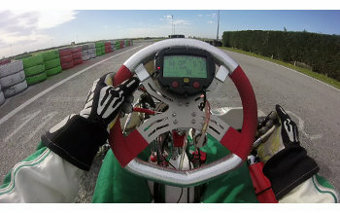 In fact, the Kart Analysis software with special algorithms process the data that you capture from your acquisition togive a technicians and mechanics clear indications on how are working the chassis and the tires, and directly recommending the interventions of setup and of tire pressure to have the best performance in the differents tracks, conditions, and in relation to the driver driving. The software after some years of studies and track tests has been introduced on the trade in 2015 and seen technical success obtained and the continuous positive feedback on the track he had a big one development that has led it to its latest version to be a point of reference technical not only for the kart sector but also for the whole racing panorama. The software Kart Analysis can work with all the main data acquisition system (2D, AIM, ALFANO, RKS, STARLANE, UNIPRO, COSWORTH), the important thing is that they have applied the speed and lateral acceleration sensors (in the case of Starlane acquisitions to place of the lateral acceleration, it is important that detected trajectory GPS). The operation of the software is very simple, in fact is sufficient to export the data from your acquisition software and import them in Kart Analysis. At this point entering in the software the data of your kart and setup the software calculates all the values importants to understand the behavior of your frame chassis and of your tyres. The instructions that the software provides for the kart setup and the tires pressure are derived from what you actually acquired from your acquisition system so you can directly solve the problems that the driver has encountered in the driving to get the maximum performance. In fact in addition to the main results that allow you to correct your set-up and your tire pressure in according to the characteristics of the track, the conditions of grip and the driving style of the driver, for the technical more attentive the software also shows a series of quantities that allow adetailed analysis of the behavior of the frame, the engine and the transmission. 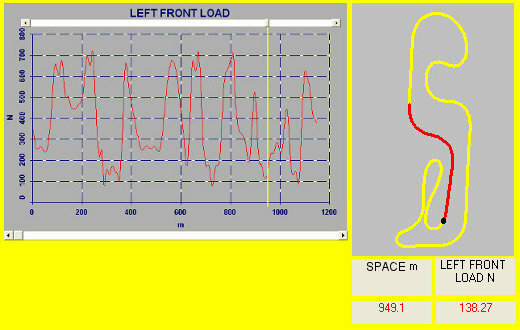 At the end of the calculation, the software first shows the behavior that the kart had in the session being considered. Thanks to these calculations you can have an immediate view of the engine performance, of the grip that the tires has been able to provide on braking, traction and corner both to the front and to the rear, and of the behavior that the kart has had in the various stages of driving, braking, entry corner, exit corner and acceleration. Moreover, since that the kart doesn't have the differential, the software shows how the rear axle has affected the various driving phases. This analysis is already very important both to evaluate the performance that the kart had in every area, both to understand how to intervene on the kart and to better interpret the feelings of the driver. After analyzing the behavior of the kart, the software provides direct information on how to intervene on the chassis to have the best setup and the tires pressure to achieve the best grip at every point of the track. In addition to the chassis settings, the software calculates the best BRAKE DISTRIBUTION. It will also tell you how to adjust the TIRES PRESSURE. In the PRO version as well as adjusting the pressures to have the best performance in the first laps, the software will also show you how to adjust the pressures based on atmospheric and ground conditions and in relation to the number of laps that you need to do. In fact, the software calculates the TIRE TEMPERATURE lap by lap and shows you how to adjust them to always have the optimal pressure both in qualifying and in race conditions. Finally, the software shows you the graphs of all the calculated quantities so you can see the behavior of the kart in every aspect at every point of the track. The analysis of the load that you have in each point of the track on the four wheels , allows you to instantly see how are stressed the tyres and then have the right references on the inflation pressure to use to let work each tire with the optimum deflection and thus to obtain the maximum performance and the correct consumption. 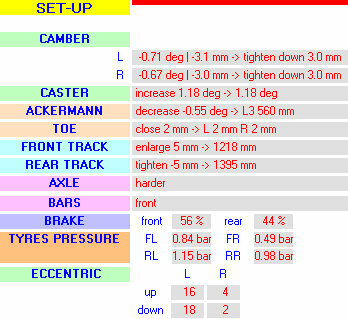 The analysis of the camber that instantly have the four wheels is crucial because the camber affects significantly the adherence that the tyre can offer in different conditions, and so to know on whic values of camber work the tyres in relation to the set-up and characteristics and conditions of the track is essential for make the appropriate corrections and to be always in the range optimal. The analysis of the lifting that the four wheels have in the different parts of the track , in fact the karts having no differential and then requires the lifting of the internal rear wheel to better tackle the corner, this is linked to the choices of the set-up that will inevitably affect the behavior not only of the inner rear, but also of the other wheels. Based on these calculations can then easily see behavior of all wheels and have an immediate idea of pros and cons of the choices made. The analysis of yaw torque generated by the rear axle is of great help because allows to understand at every point of the track if the thrust generated by the rear generates understeer or oversteer and how it is necessary to intervene to improve the driving in relation to the driving style of the driver. The software Kart Analysis is therefore an instrument fundmental that you must have in your team to obtain the best chassis setup and the optimal tires pressure in every conditions of the track and for each driving style, in fact will be your acquisition to provide the informations and then the calculations performed being the result of what really happens will be accurate and reliable in every situation.